CompanionLink works with the Palm Treo Pro from day 1. Since the phone is on a Windows Mobile platform (which CompanionLink supports), we work with it! No need to update your CompanionLink software. 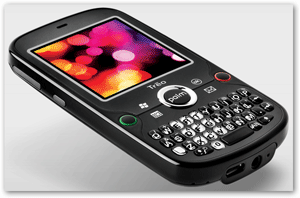 The Treo Pro boasts WiFi, GPS, and 3G speeds in a tiny package. It’s currently available through the Sprint cellular network.